Hello friends! You never know when and where inspiration is going to hit you. I received and email from Pottery Barn the other day and I fell in love with this ornament. 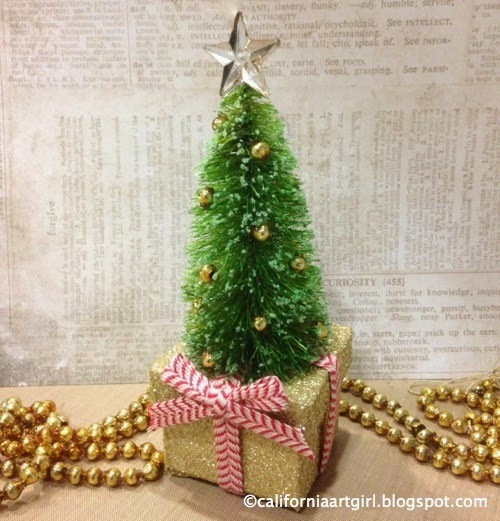 So it got me thinking…I have Woodland Trees…I can make a little box or maybe I have one…I have some vintage mercury ornaments…and ribbon…yep I can make this. 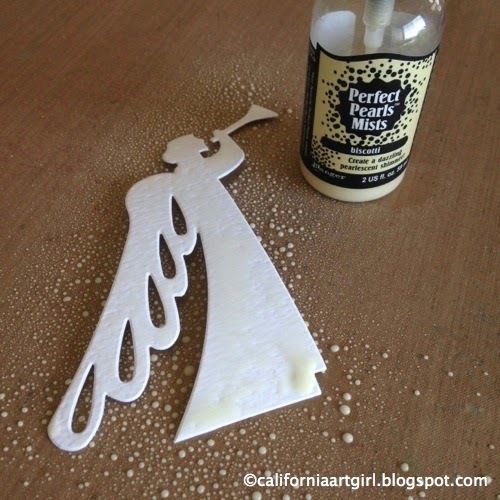 Use a little box or create one for the base of our ornament. I actually used an insert from a configurations box and made my own lid from chip board. 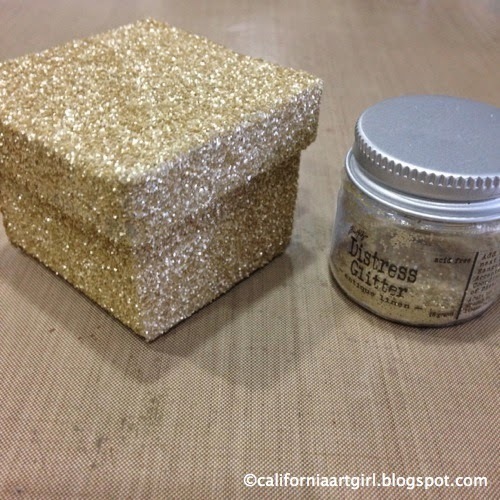 Paint box with Glue n Seal and add Antique Linen Distress Glitter to cover the entire box and let dry. 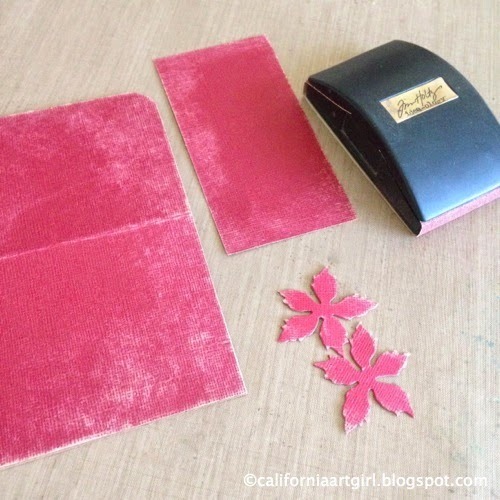 Adhere Red and Cream Trimmings to create a package. 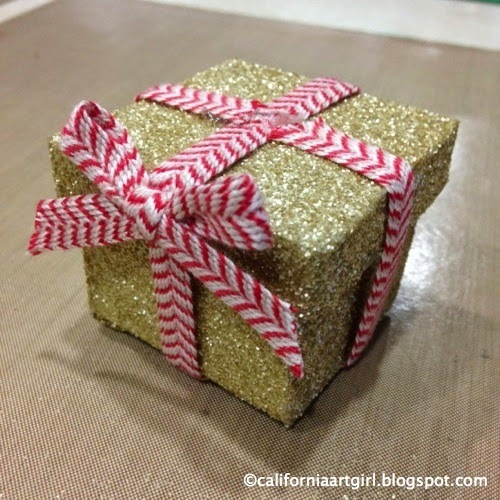 Tie a little bow and adhere to the side of the package. 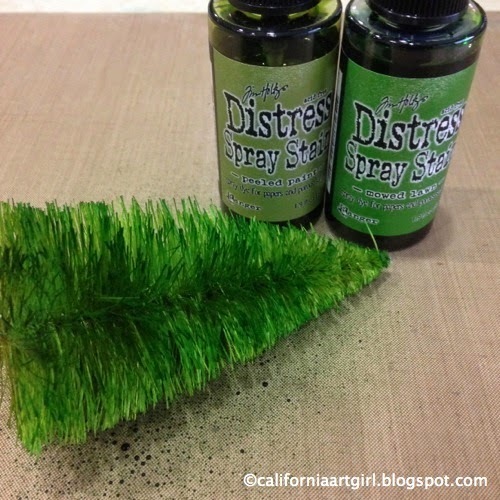 Work on a craft sheet or protect your area, spray Woodland trees with Distress Spray Stain and dry with a heat tool. 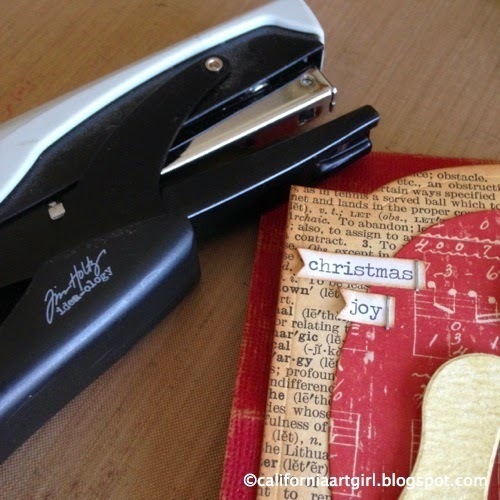 Apply Glossy accents to your craft sheet and roll the tree in the Glossy Accents. 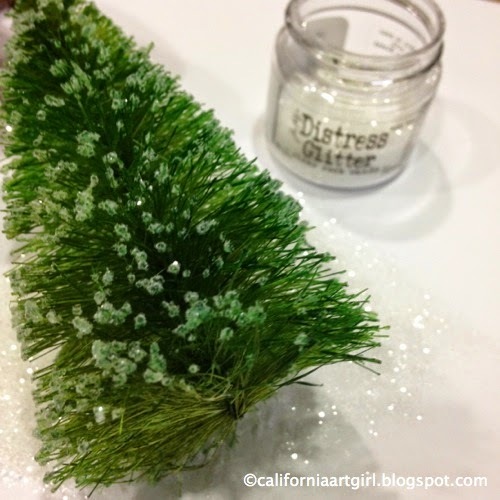 Pour Rock Candy Distress Glitter over the tree and shake off the excess. 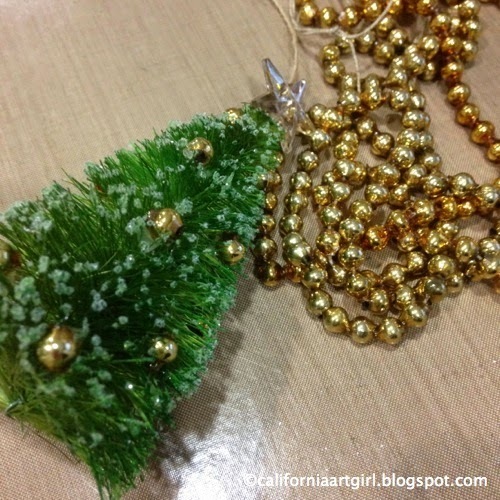 Adhere Mercury ornaments or pearls to the tree with hot glue. 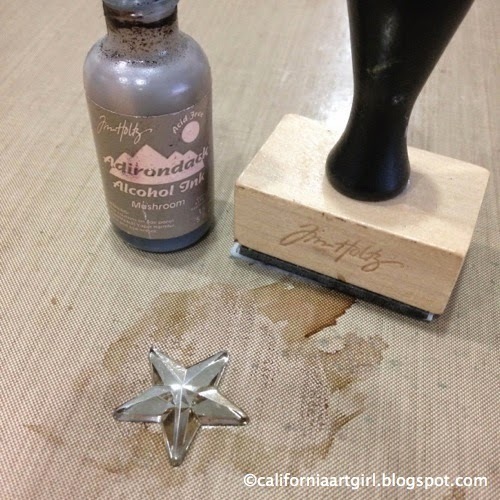 Color the Mirrored Star with Mushroom Alcohol Ink on an Applicator tool. 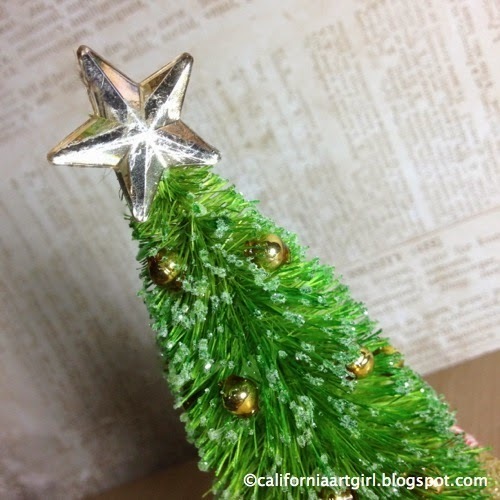 Adhere the Mirrored Star to the top of the tree with hot glue. Adhere the Woodland Tree to the top of the package. Hi friends! Thanks you so much for all the congratulatory wishes for my new Granddaughter Clara. 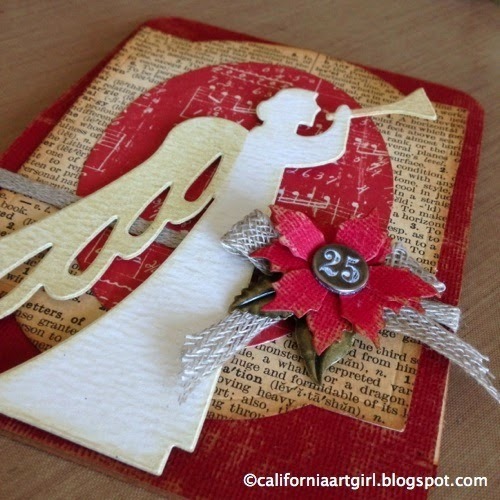 Today I want to share a tent card made with the new Angelic Bigz die. I knew when I saw this die I would need to make a card. Cut Kraft-core cardstock 4 1/2" x 12". Score and fold card in half, then score front panel in half again. 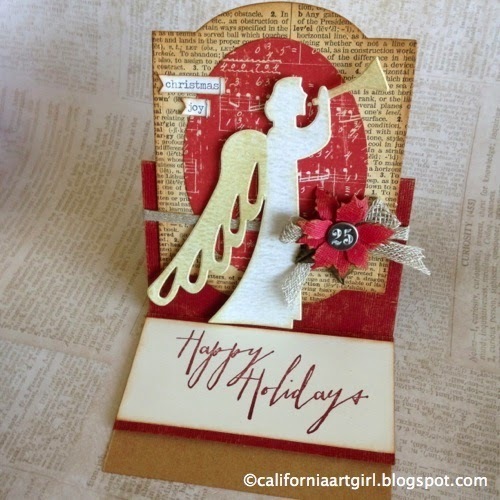 Kraft'core cardstock is my favorite card stock to use for cards. Not only does it have the Core'dinations signature core it's Kraft on one side so writing your message on the inside of the card is easy. Love it! 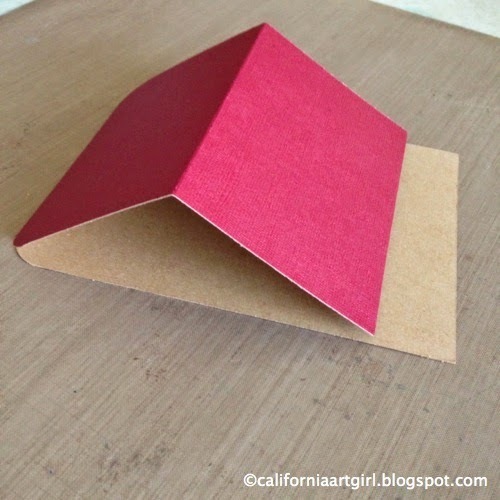 Use a corner rounder to round the top corners of the card. 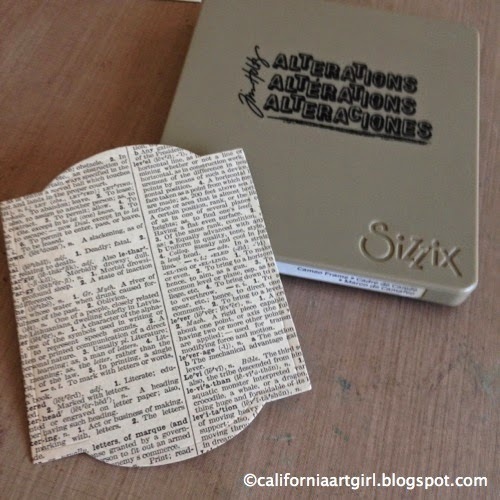 Adhere an old dictionary page to a piece of cardstock with glue stick. Die cut dictionary piece with the Cameo Frame Bigz die. 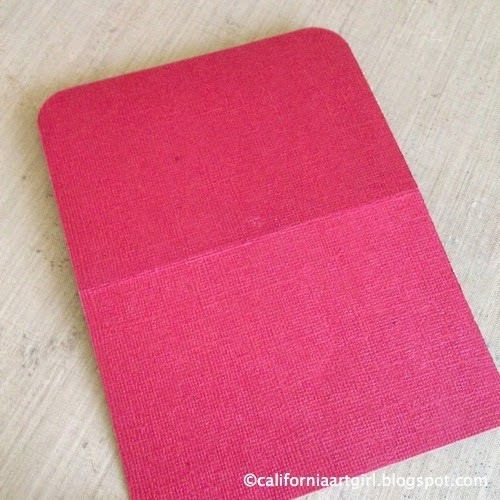 Cut a piece of red Kraft-core 4 1/2" x 2 1/4". 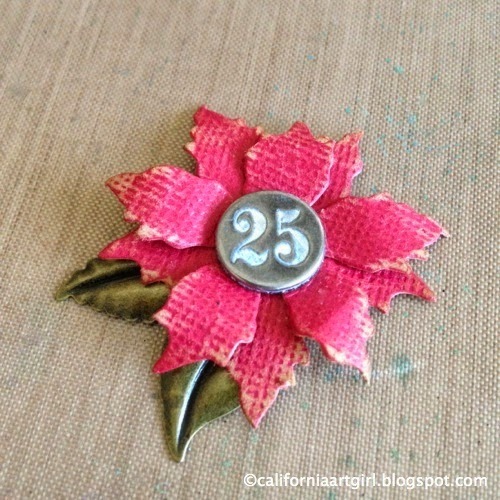 Die cut Poinsettia from the Mini Cardinal and Poinsettia Movers and Shapers die. 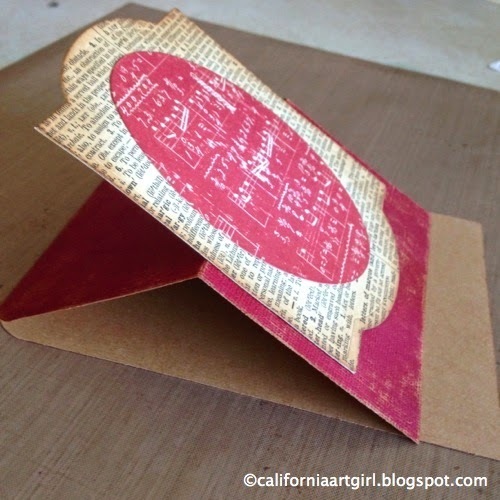 The message was stamped with Aged Mahogany Distress Ink on a piece of cream cardstock cut to 4 1/2" x 2". 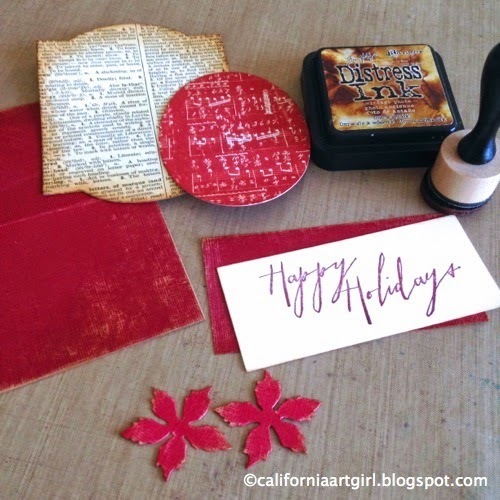 The Happy Holiday words are from the Handwritten Holiday 2 set (CMS209). Die cut a piece of music paper from the Merriment Paper Stash with the large Sized Oval Movers and Shapers die. 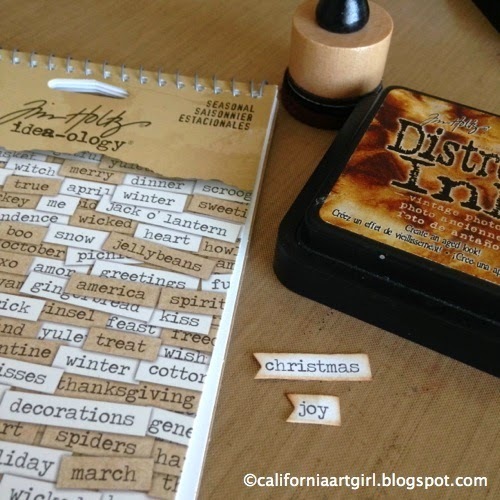 Ink the edges of all the pieces with Vintage Photo Distress Ink on an Ink Blending Tool. Assemble the Poinsettia with a Number Brad (25) in the center and a leaf from the foliage package in the back. 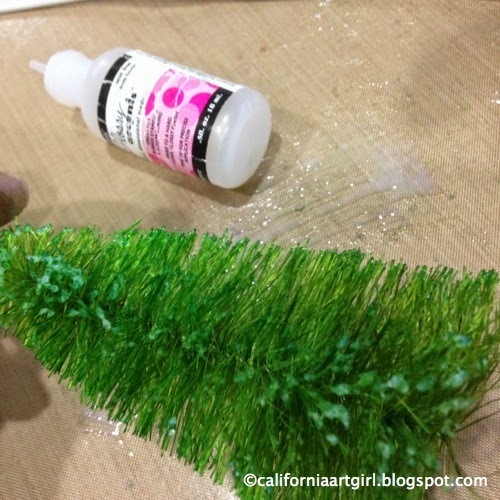 You could also use Distress Glitter for the center of the Poinsettia. Adhere the oval in the center of the Cameo Frame. Center the frame on the front of the card. 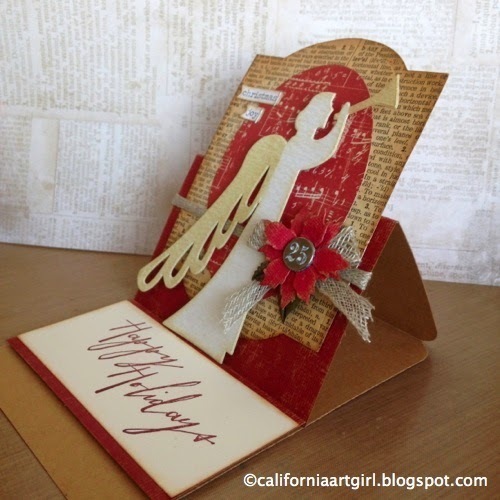 Adhere the frame to the front of the card only at the bottom so the card will still stand up. 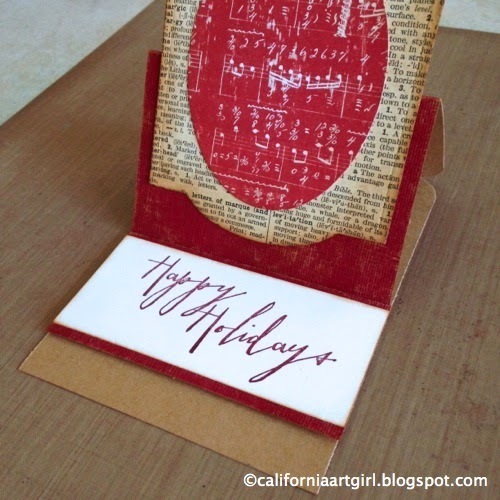 Use foam tape to adhere the message to the inside of the card. 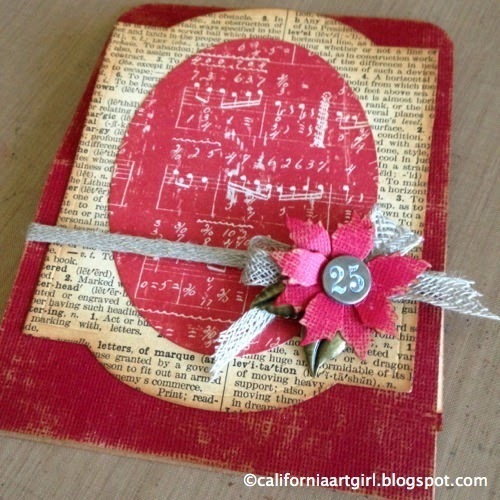 Tie Linen Ribbon around the card with a bow. Attach the Poinsettia on the bow. Mask off wing and trumpet with post it notes and ink with Antique LinenDistress Ink on an Ink Blending Tool. Don't forget to leave her hand white. 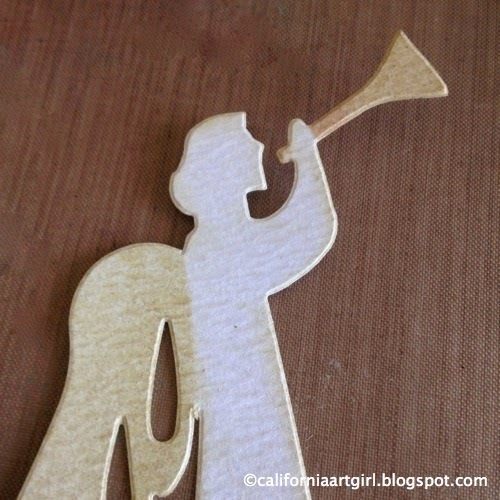 Use foam tape to adhere the Angel to the front of the card. Choose a few Chitchat words from the Seasonal pack to add to your card. Cut a "V" on the left side of the word. 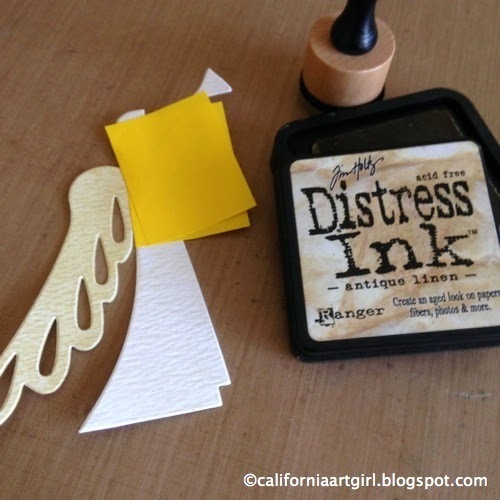 Ink the edges with Vintage Photo Distress Ink on an Ink Blending Tool. Add the Chitchat words with a Tiny Attacher. I can't wait to display my card on the mantel. I think everyone is going to love it!